Around AD 80, some 40 years before the construction of Hadrian's Wall the northern frontier of Roman Britain was marked by a series of forts and watch towers along the Gask Ridge, a ridge of high ground running between Dunblane and Perth. 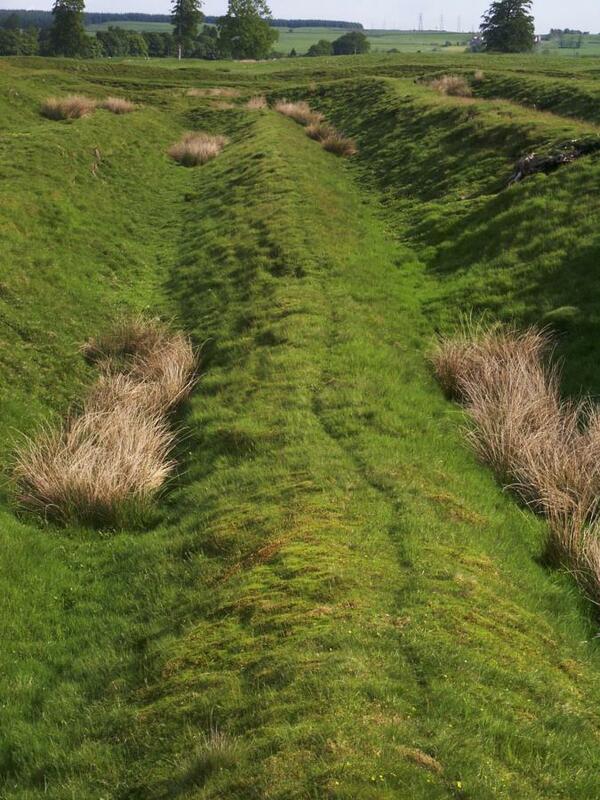 The Romans retreated to what is now the Scottish-English border and in the 120s constructed Hadrian's Wall. 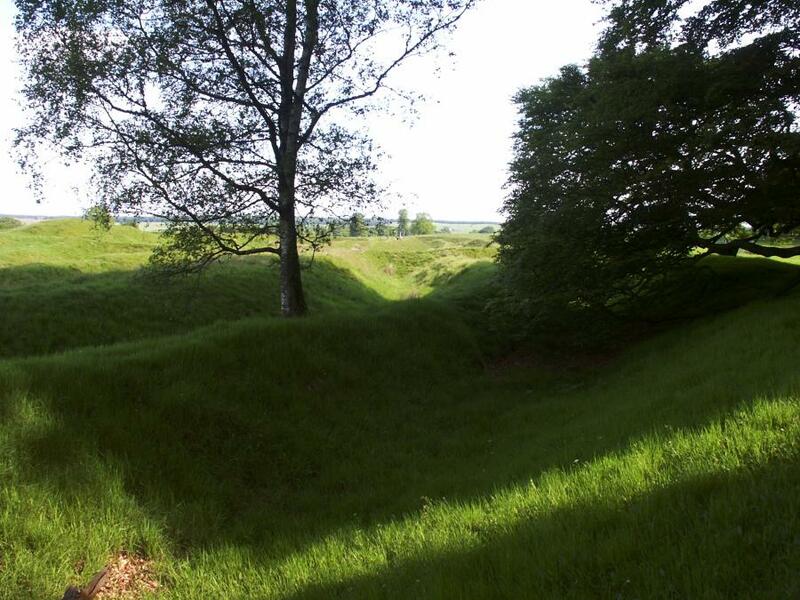 Twenty years later the frontier had moved north again, the Antonine Wall was constructed and some of the Gask forts were reoccupied. 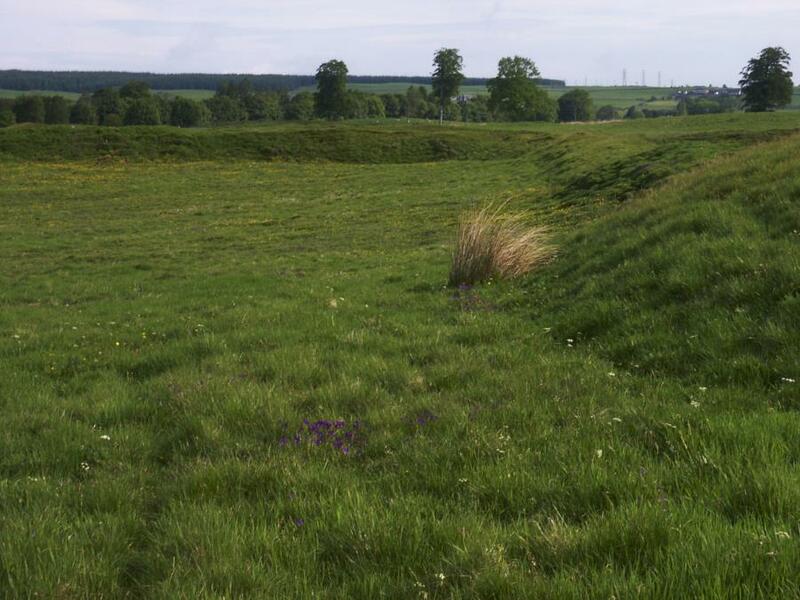 Ardoch Fort is one of those early Gask system forts - possibly constructed at the time of the Battle of Mons Graupius (between the Caledonians and the forces of Roman Governor of Britain, Gnaeus Julius Agricola). 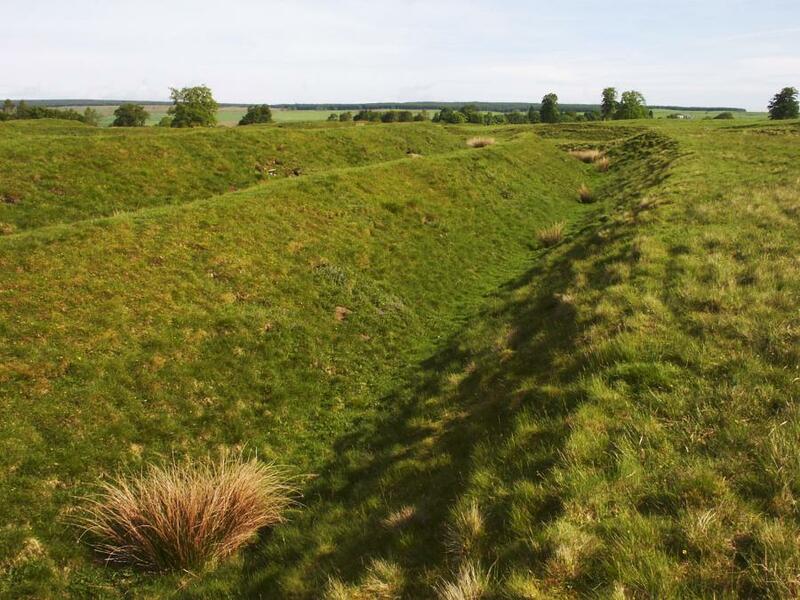 When it was reoccupied in the 140s it was one of the largest Roman stations in Britain. 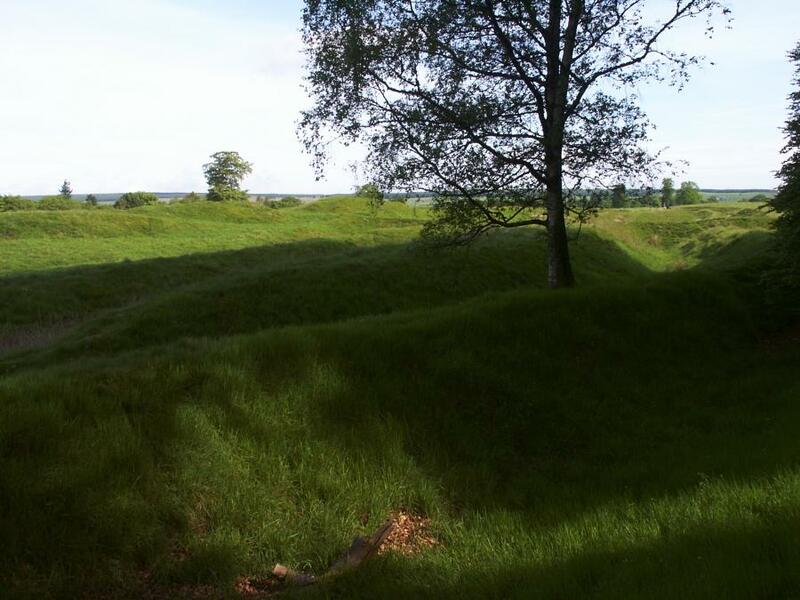 Although there are no visible buildings, the defensive earthworks that remain make this a most impressive location to visit. Standing Stone; Pictish Class I Stone.